Kris Mastrangelo, President of Harmony Healthcare International (HHI) interviews Phil Scalo, CEO of Bartley Healthcare located in New Jersey, in the AHCA Provider Lounge. Phil discusses the importance of providing quality-driven customer-based services. Phil runs his campus as a community, where individuals can feel confident that when they move in they will always have a place for whatever care they need. Through customer service initiatives such as surveys, Phil is prepared to meet all of his residents' needs - be it bringing rehab to Assisted Living or providing more private rooms for incoming baby boomers (Audio transcription below). 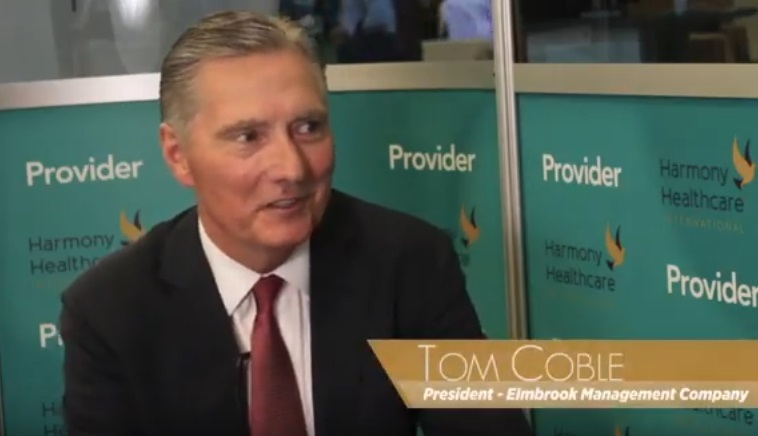 Kris Mastrangelo, President of Harmony Healthcare International (HHI) interviews Tom Coble, President of Elmbrook Management Company, in the AHCA Provider Lounge. Tom discusses the future of providers and healthcare models. He says it will be a delicate balance as providers will need to blend medical models (skilled nursing facilities) with social models (home care, community based) in order to meet the needs and desires of the incoming baby boomer generation. (Audio transcription below).